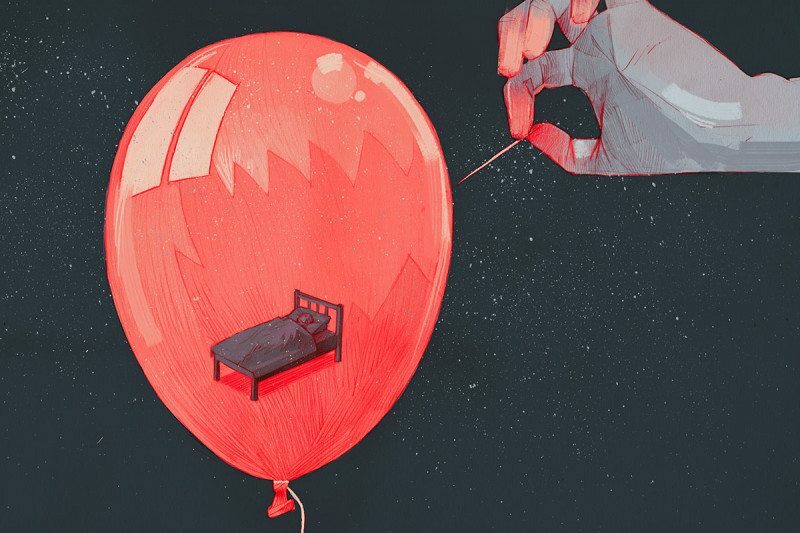 Dreams play a key role in boosting creative thought, memory, learning and even mental health. Now modern life may be cutting them short, with serious consequences. You know that feeling when someone wakes you up in the middle of a really good dream? There is a real sense of loss, like ending a TV episode on a cliffhanger. You want to jump back in, but no such luck. That is me every morning. I have a baby sleeping in the same room and am wrenched awake early each day, often mid-dream. That might sound like a trivial complaint. We tend to think of dream sleep as unimportant, the poor relative of vital and restorative deep sleep. But now it seems that dreams are much more than mystical night-time adventures. Recent research suggests that rapid eye movement (REM) sleep – when we have the most powerful dreams – is vital to learning and creativity, and promotes a healthy mind in a variety of ways. It isn’t romantic whimsy to say that if we stifle our dreams, we aren’t going to reach our potential. Chronic dream deprivation isn’t just a problem for people with small children. Going to bed drunk or stoned, taking various medications or even just using an alarm to wake up in the morning can all leave your dreams smothered. So, currently sleep deprived, I wanted to find out if missing out on dream sleep is as bad as it seems, and if so, what we can do to get our dreams back. About three years ago Eva Salem got into some trouble with a crocodile. It snapped her hand in its jaws. In a panic, she managed to knock out the crocodile and free herself. Then, she woke up. “I imagine that’s what it’s like when you’re on heroin. For centuries people have pondered the meaning of dreams. Early civilizations thought of dreams as a medium between our earthly world and that of the gods. In fact, the Greeks and Romans were convinced that dreams had certain prophetic powers.